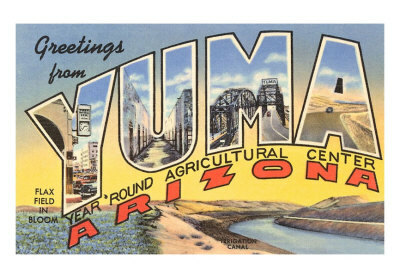 Yuma Arizona is a small rural city located in the southwest corner of the state right on the border with Mexico and California. About 180 miles away from the capital of Phoenix Arizona, Yuma is one of the poorest cities in the state with limited resources for people with disabilities. With poverty so high and limited resources, self advocacy becomes much more important to receive the services one needs to live independently. Yet, teaching self advocacy skills is made difficult when there is a high number of Spanish-speaking residents. To teach self advocacy skills to Spanish-speaking families, Southwest Institute for Families and Children (SWI) has partnered with the Morrison Institute of Arizona State University to teach a two day curriculum on self advocacy, rights and responsibilities as people with disabilities, and how to access the necessary resources needed to live independently, and how to use social media. Classes began June 1 and were given to nine individuals with disabilities and their families. 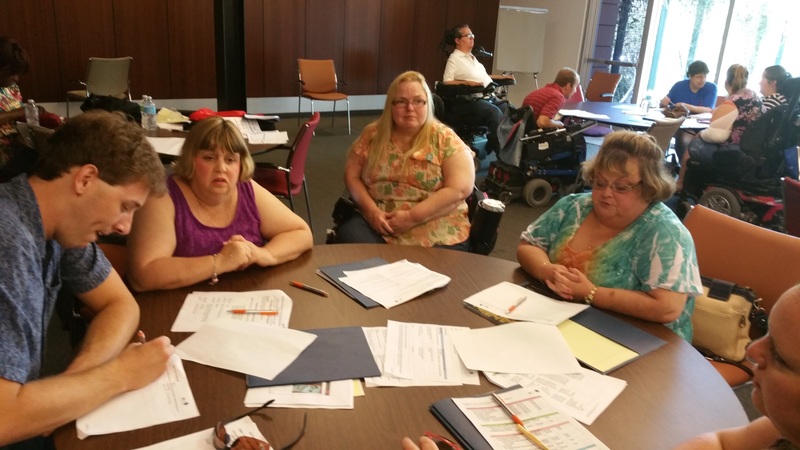 Over the course of two days, participants worked together to become stronger self advocates. Juliana Huereña of SWI gave a presentation on the importance of being able to advocate for oneself as well as the history of the self advocacy movement. Icebreakers were also given throughout the training to make people feel comfortable participating and to develop friendships among all the participants. The trainings have been a total success. 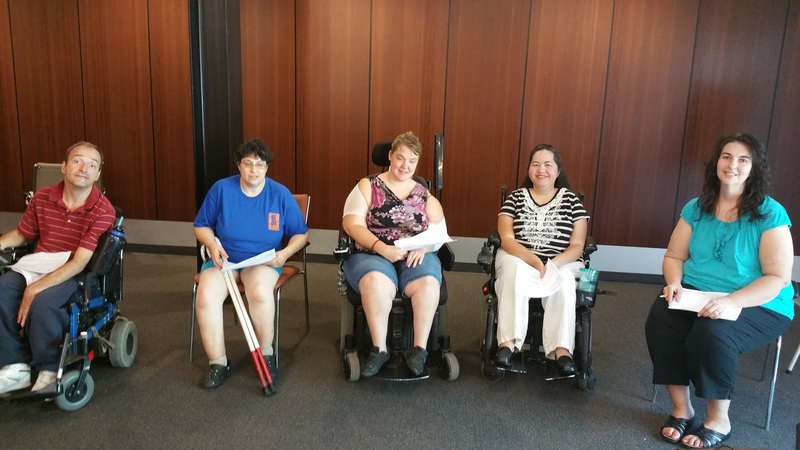 Participants learned about self advocacy, gained the confidence to advocate for oneself, and learned that they are part of a self advocacy movement with a rich history of people fighting for their rights. Participants also developed relationships with other participants and learned that they are not alone in their efforts to live independently. 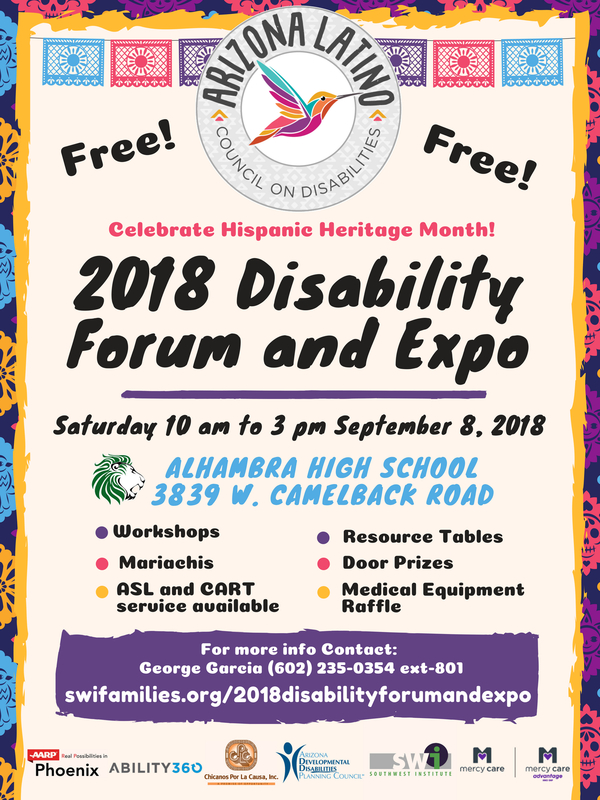 SWI hopes to continue to work with the Morrison Institute to provide self advocacy training to individuals with developmental and cognitive disabilities in the Latino community. February 23, 2017 Southwest Institute for Families and Children (SWI) and Arizona Center for Disability Law (ACDL) had the opportunity to meet with the newly elected Maricopa County Recorder Adrian Fontes. 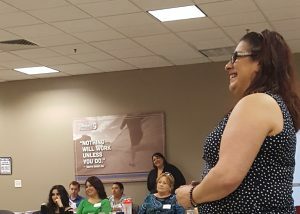 Through a series of meet and greets throughout the county, Mr. Fontes provided background on himself, his vision for the office, and his take on some of the issues that have plagued the elections process in Maricopa. During the question and answers session, George Garcia, Executive Director of SWI, asked how he planned to address some of the issues faced by people with disabilities who have had systemic problems with the voting process in the past. Mr. Fontes stated that his office must do better in training poll workers to assist those with disabilities, know how to use accessible voting machines, and do more to let the public know their rights and options available to ensure equal voter access. He also stated that he plans to create a disability advisory board that can work with the Maricopa County Recorder’s Office to ensure they are doing everything possible to meet the needs of people with disabilities. 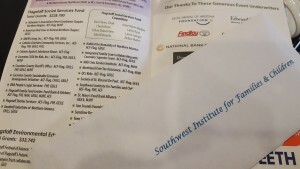 SWI and ACDL have offered our assistance in working with the office to create such advisory board and are currently in talks with their staff. Arizona team presents at the 6th Annual African American Conference on Disabilities on February 17, 2017, Phoenix, Arizona. On February 17, 2017, ABILITY360 and Arizona Center for Disability Law (ACDL) hosted the 6th Annual African American Conference on Disabilities. Its purpose is to reach out to the African American population to provide information and resources to a community that often underutilizes services designed to improve their quality of life. To improve the ability of people to exercise their right to vote, Arizona self advocates from Southwest Institute for Families and Children (SWI) and Self Advocates Becoming Empowered (SABE) Bill Lucero, Katie Griffith, Jolene De Tiege, and Teresa Moorepresented information on the voting process in Arizona. Information included: who can vote, where to register to vote, how to research on candidates and issues, where to vote, how to vote, and what a voter can do if something happens that prevents them from voting. The session was well received. Members from the audience included youth, self advocates and representatives from Maricopa County. 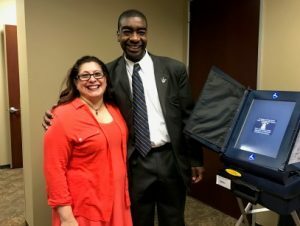 Maricopa County displayed the voting machines to show how to use them. Anyone can use the voting machine; just ask for it when you check in to vote. 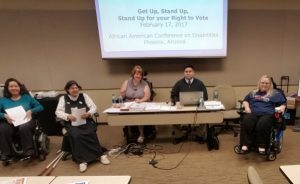 Self advocates were proud to share their information on voting and that the audience learned about what they can do if poll workers say they cannot vote. 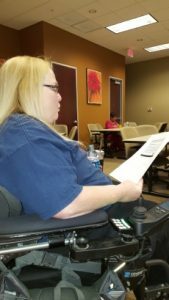 Teresa Moore shared 2010 and 2016 voting statistics that included people with disabilities interested in learning about candidates and issues that affect their lives. The audience also learned about what a provisional ballot is and how to ask for it. One thing the presenters stress is NEVER TO LEAVE THE POLLING SITE WITHOUT CASTING YOUR VOTE! If you voted in November 2016, and would like to share your experience please complete this survey https://www.surveymonkey.com/r/2016VoterExperienceSurvey before February 28, 2017. 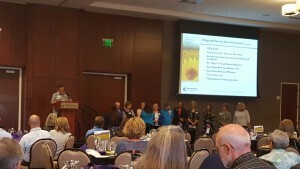 Self Advocates Becoming Empowered (SABE), the oldest national self-advocacy organization in the country, has been awarded a grant from the Administration for Community Living to establish the first-ever National Resource Center for Self-Advocacy (NRCSA). The resource center will be funded through a $2 million, five-year cooperative agreement funded as a Project of National Significance by the Administration on Intellectual and Developmental Disabilities under the Administration on Disabilities. 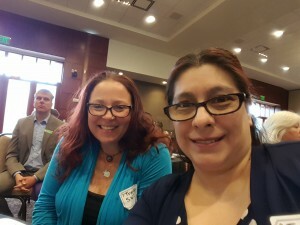 SABE’s mission since its formation in 1990 has been to support people with intellectual and developmental disabilities in speaking up for themselves on issues that impact their lives. The outcome of the center’s efforts will result in a stronger, more diverse self-advocacy community, leadership and employment opportunities for self-advocates, and a more powerful collective voice of self advocates across the nation. Additionally, the Georgetown University National Center on Cultural Competence will provide guidance and support to ensure the tools promoted by the new resource center respect, honor, and represent the beliefs and values of people from diverse cultures and linguistic backgrounds. For more information about the project, please contact Teresa Moore 602-725-3117 or email sabenation@gmail.com. 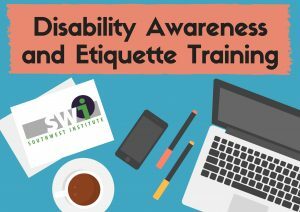 SWI is proud to be working with self advocates as they share the do’s and don’ts in interacting with people with disabilities. Here is a short video that’s fun and informative.